This post also marks the end of my “painful” behavior change, inspired by Jason Hreha’s post The Path to Painful Behavior Change. Jason’s experimenting with a behavior change (become more social) via a punishment system (if he did not meet new people) was that he would pay $20 to the RNC for each day he did not meet a new person. I thought – “WOW! I’d totally post on anthrocubeology if I had an “RNC-tethered” punishment system.” In the end, I chose a different punishment system and apparently one that was not punishment enough (until this evening). With that said, this post comes with a price – a price to The Stanford Fund. (What? Yes, I went to Cal Berkeley. What’s your point?) 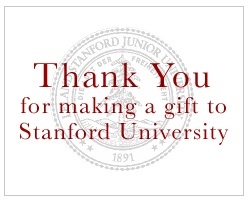 I chose my punishment of $25 to the Stanford Fund for each week I did not post on anthrocubeology. I decided to approach my behavior change with a punishment (rather than reward) from the perspective of “decrease the behavior of not posting on anthrocubeology” rather than “increase the behavior of posting on anthrocubeology.” At the time, I was pretty certain I would post the first week. Oh well. I was wrong.